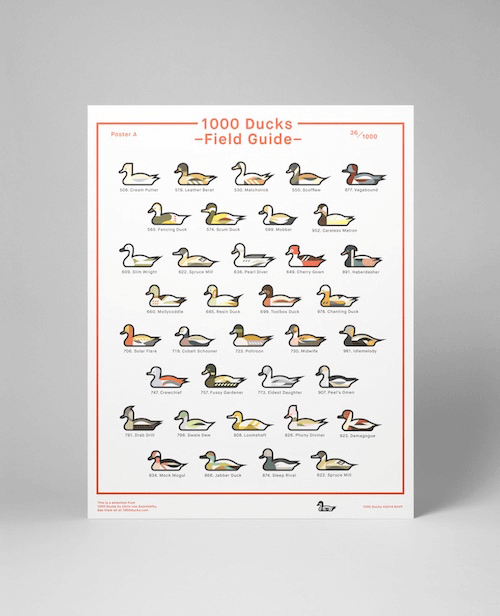 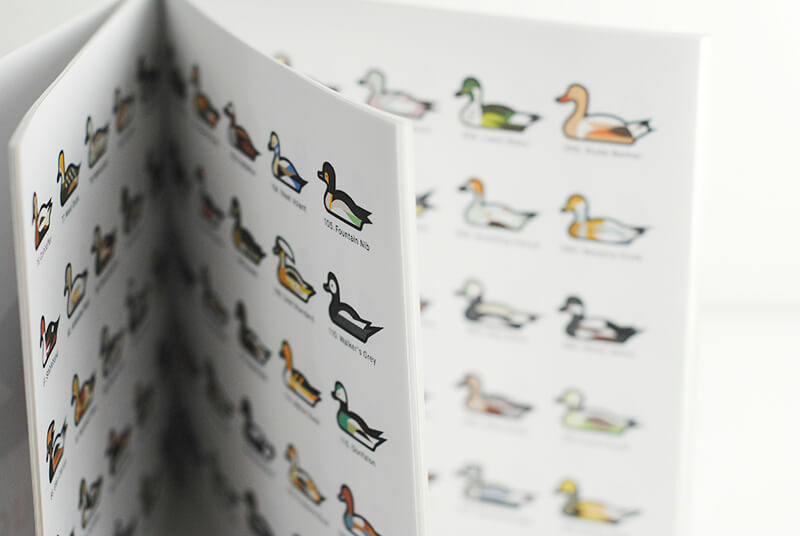 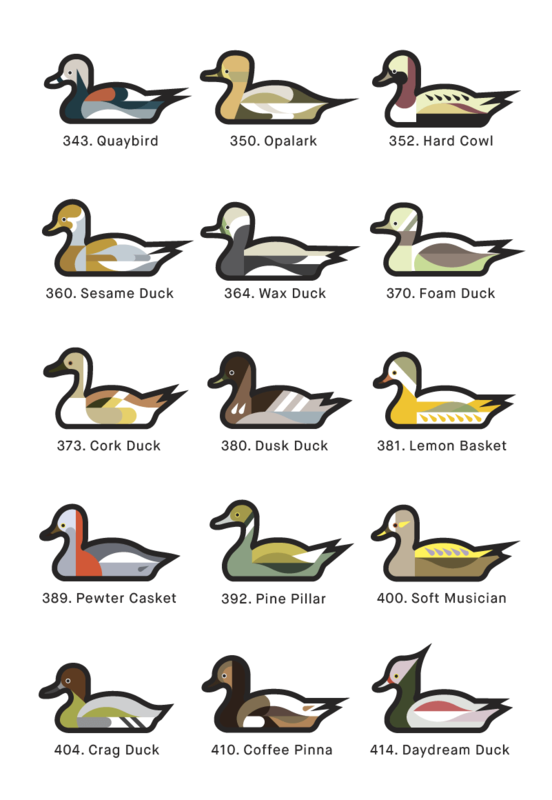 1000 Ducks is a graphic catalogue of 1000 duck species I made in the summer of 2014. 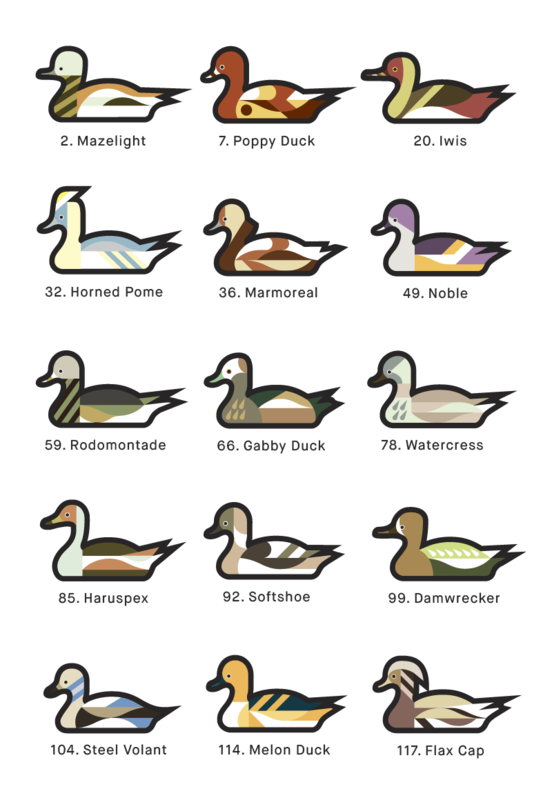 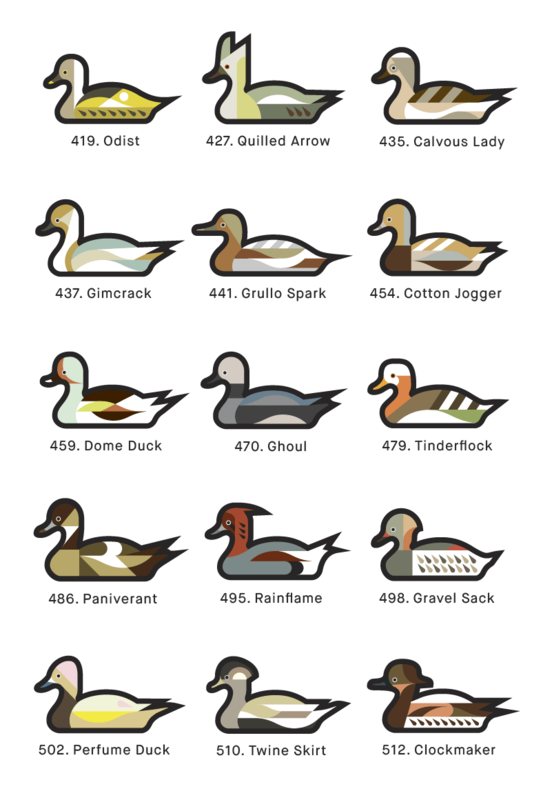 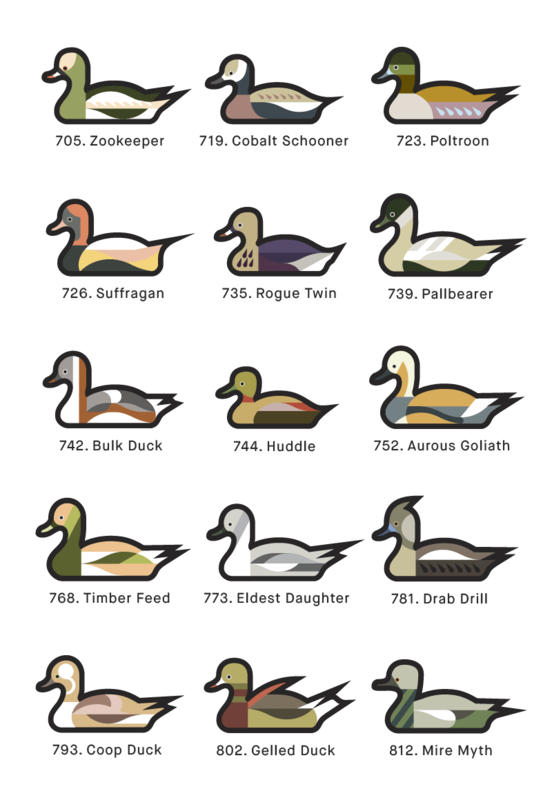 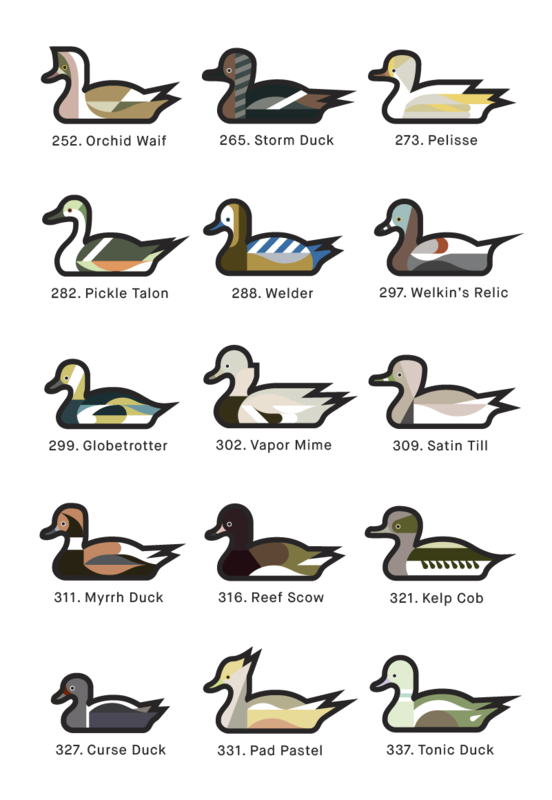 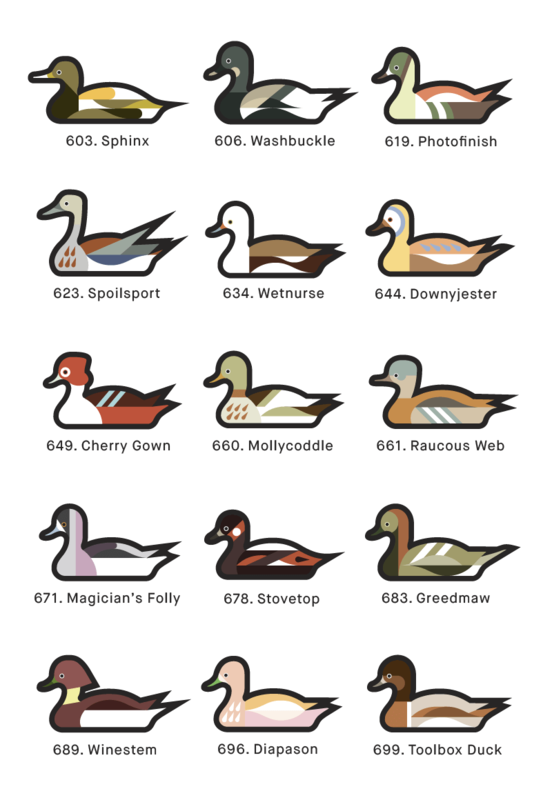 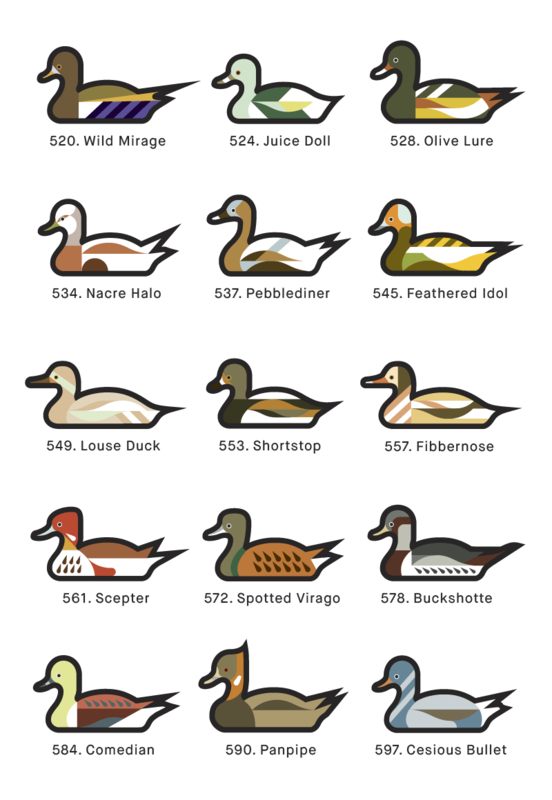 It’s the definitive guide to ducks that do not exist, each labeled and numbered for easy identification. 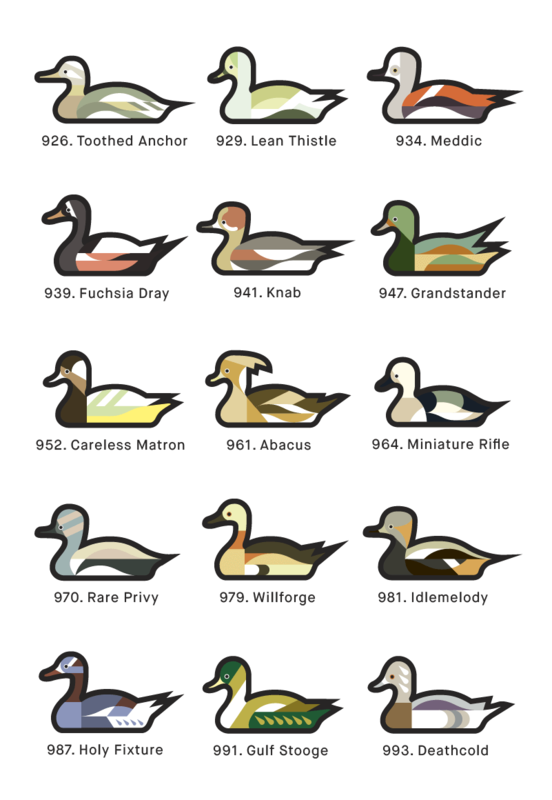 See them all in the video below. 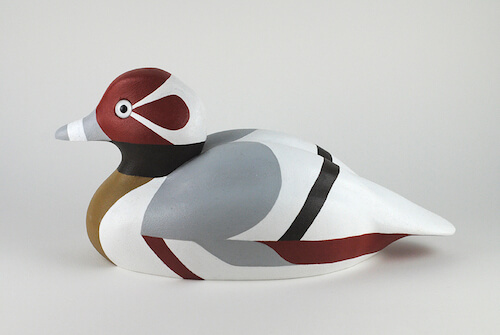 Songs in the video are the title track from Let’s Prevent Noise by Ourselves and Bend of a Thousand Angles. 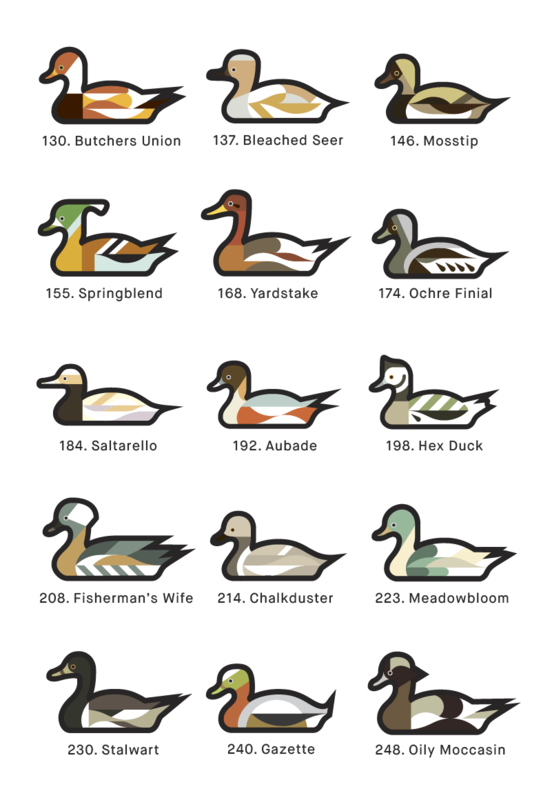 The album 100 Duck Calls is available here and below.